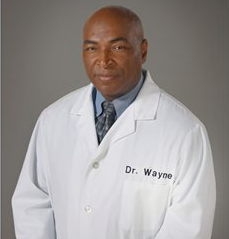 This has been a very exciting several months of growth and development for both Wayne Pharmaceuticals and the M.D. Whitest Medical Institute. These developments are major and help to put our organizations directly at the forefront in the battle to find a cure for HIV and AID’s. These are not just victories for us. These are not simply historic advances for the African American Community, which they certainly are. These developments offer great promise and potential to help relieve suffering for millions of human beings worldwide. Yes, WORLD WIDE. According to the latest available statistics from the CDC, HIV disease continues to be a serious health issue for parts of the world. Worldwide, there were about 2.1 million new cases of HIV in 2013 alone, about 35 million living with HIV and only about 12.9 million people who are receiving anti-retroviral therapies. An estimated 39 million people have died since the epidemic began. These are the stakes and they are huge. Myself and my team at Wayne Pharmaceuticals recently completed several months of negotiations that resulted in the acquisition of a licensing agreement for a vaccine in development at the University of Massachusetts Medical School that will prevent the contraction of HIV. This HIV vaccine which is showing great promise is slated to begin clinical trials in early 2016, and will continue to be developed at the medical school. However, I and Wayne Pharmaceuticals own the exclusive license agreement for the HIV vaccine. We are also acquiring a school, A.S. Clark, in Cordele in partnership with our non-profit partner the M.D. Whitest Medical Institute and converting it into a bio-medical center that will house the management of our Vaccine Programs inclusive of the HIV Vaccine Technology Program. This is an historic event as it represents the engagement of the African American community in the search for a cure for HIV infection in a major research capacity. As an African American, as a Physician, and as a member of Humanity at large, I am proud to share these announcements with you.